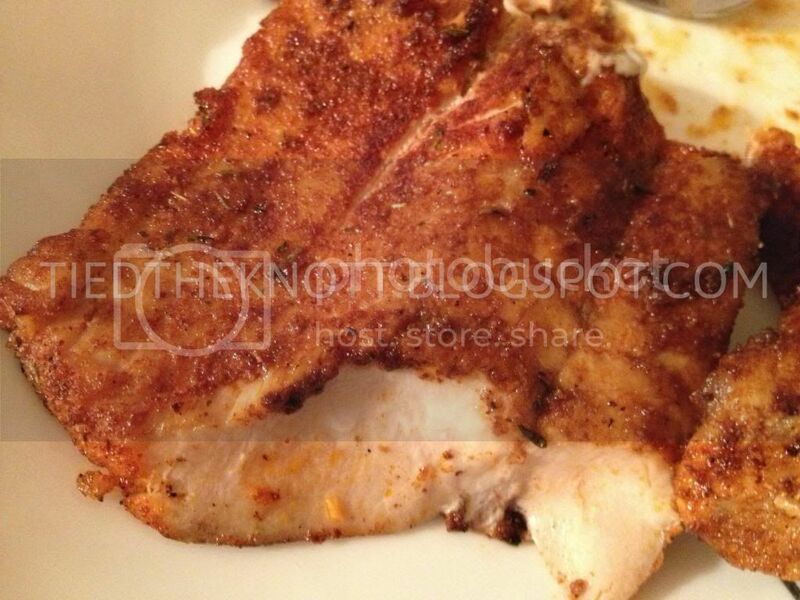 After We Tied The Knott...: Blackened Salmon - A MUST Make. My husband always says that we need to start taking advantage of our unlimited supply of salmon so that's just what we've done. Not to mention we are trying to limit our holiday calorie intake by eating health(ier) when we are alone. Our favorite way (so far) to eat salmon is blackened. It's not terrible for you and it's really pretty simple! Grill till the fish is cooked through and flaky. Serve with tartar sauce (the fish has a bit of a kick!!)! If I actually ate fish more than, oh, once a year....I might consider this. I don't know why I never really got into seafood. I'm not a big san of fish, but my husband loves is. This sounds like the type of fish recipe I'd enjoy a little more, though!